Chic Alert: Chanel No. 5 Giveaway! What do Marilyn Monroe, Andy Warhol, Catherine Deneuve and Nicole Kidman all have in common? 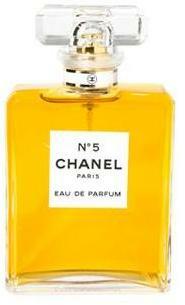 They are all connected by what is without doubt one of the best known perfumes in the world, Chanel N° 5. When asked what she wore in bed, the beauty Goddess Marilyn Monroe famously replied, "Two drops of Chanel No. 5". Well here's your chance to also wear Coco's famous fragrance in bed. Simply click HERE for your chance to win this perfect Christmas present in the Handbag.com Christmas gift competition!